DrupalCamp Goa was held between 2-3 March 2019. Parth Gohil and Akanksha Singh from our team attended. A lot of work was put into organizing the camp, and activities at the event were well thought out and kept people engaged. All this made this camp a very memorable one. People traveled from all over India and even Europe to attend. “As this was only the second DrupalCamp in Goa, it was great to see people join in from other locations as well,” says Parth. While usually there are only code sprints held on the second day, DrupalCamp Goa was different in that there were sessions lined up for the second day as well. The Drupal community is a great place to be. For Akanksha, this was her first DrupalCamp—and a lot of fun. “The camp made me realize that the Drupal community is a very interesting place to be, and it encouraged me to attend more events.” All in all, a great first experience. Other interesting sessions included those by Nikunj Kotecha on Managing content rich sites with Drupal within budget, and by Sharmila Kumaran on Inspiring youngsters to become Drupal evangelists. Another highlight was the BoF on the topic: “What’s stopping you from contributing?” conducted by Stephan Luckow and Shadab Ashraf. The BoF helped bring forward a lot of stories around what people are trying to do and how they are failing. People were able to share insights, honest opinions, and frustrations, and learn from each others’ experiences. The after party was great too, and held at a nice location. “There were a lot of games organized throughout to make people interact and get to know each other,” says Akanksha. The camp offered the opportunity for community members to continue many ongoing conversations around getting involved in the Drupal community, how organizations can benefit, and where and why they should invest. “Another interesting conversation was one around diversity, where Rachel Lawson explained how minorities should be in positions of influence, so that they’re able to bring in more diversity,” says Akanksha. Becoming a part of these committees is a critical aspect of this. “Minority members should try and be persistent in asking for a position on these committees. That is how we can bring in more inclusive thoughts and perspectives,” says Parth. And getting out there and attending more events definitely helps. 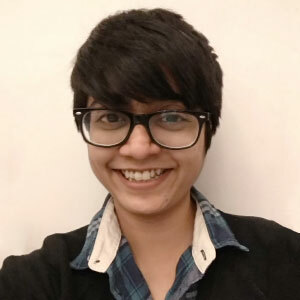 “Once you meet people it’s easier to get involved,” says Akanksha—who is now a member of the planning committee for DrupalCamp Delhi. And that’s how Drupal continues on. 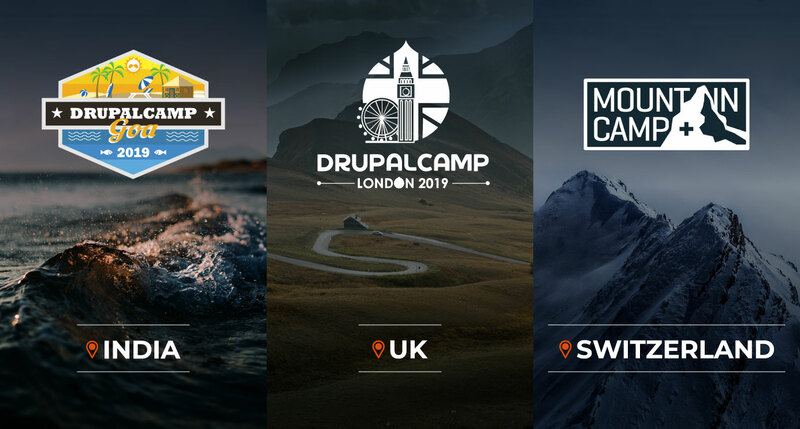 DrupalCamp London was held from 1-3 March 2019. Seven Axelerant team members attended DrupalCamp London: Kunal Kursija, Jaspreet Singh, Uttkarsh Tiwari, Mohit Aghera, Nathan Roach, Piyush Poddar and Hussain Abbas. This was the first international camp for some of us. For Kunal, Jaspreet and Uttkarsh, this was their first international event. “This was my first time attending any open source event internationally, and I was fortunate enough to go. It was a great learning experience through which we got to meet new people from around the world and attend sessions,” says Kunal. What did our people have to say overall? The event was planned well. “Everything went smoothly. The event was organized with a very structured approach,” says Hussain. “Right at the gate we were handed swag items by the volunteers. It was a very nice welcome experience,” says Kunal. The opening keynote by Rowan Merewood was very impressive, with some great information shared about the work he has been doing at Google. "The very same day, at the afterparty, I met him personally too, and that was a great experience," shares Kunal. “This camp had the biggest crowd I have seen, and we got to meet people from different nationalities—Norway, Poland, US, etc," says Uttkarsh. “The session lineup was good too, with a nice mix of technical and non-technical tracks. And the vibe of the event was welcoming, friendly and fun,” says Mohit. All in all: "The experience was really amazing. We met new people and learned a lot. It motivates me to submit more sessions at other events. This is the first session that I submitted and also my first selection," says Jaspreet. And the swag and the Lego giveaways were much appreciated too! Mountain Camp was held between 7-10 March 2019 in Davos, Switzerland. Hussain Abbas from our team attended. “For me, this was a very different camp—more fruitful in every way. As it was a small camp with a crowd of 100+ people, we were able to have more personal, quality conversations with everyone,” says Hussain. Mountain Camp was organized really well. The venue choice was also great—functional and efficient. There were a maximum of three tracks ongoing at any time, with a good mix of sessions. All sessions were recorded using open-sourced recording equipment based on Kevin Thull’s kit. The event was spread out over three days with another day for social activities. The social activities were organized thoughtfully too—rather than having several parties, the organizers included a mix of winter sports, a fondue dinner, and other interesting options. Swag items was also well thought out. “Everything worked like clockwork and all the official activities were organized logically. I also appreciate the variety of activities included,” says Hussain. Hussain’s session on mentorship was received well. The session was about mentorship in the community, using Axelerant as an example. He shared how we’ve run our mentorship initiative at Axelerant and what we observe to be the difference—beginning with how we began our mentorship program in 2017 and how we have transitioned through the years. He also shared details of our current peer mentorship system as well as how we help train mentors to be more empathetic, listen more, etc. There were good conversations all around. Instead of a main keynote, there was a panel to whom attendees could submit their questions in real-time. The audience would then vote for the most valuable questions which would be addressed by the panel. At the end of the event, there was a short keynote on diversity and inclusion, which opened up the topic to a lot of people. Simple but really effective aspects like pronoun preferences were discussed. Attendees stayed in shared accommodation with people from different nationalities, so conversations around diversity and inclusion and community initiatives continued even once the camp was over. This event was all about the community. Going to international events always offers a different perspective, which is helpful. While camps in the US are usually all about business and European events tend to be more developer focused, this event was somewhat different. The focus here was more on the community. It also included what’s happening on the development side of things and the general technology landscape. But community was generally the bigger theme—particularly aspects like privacy, personal safety, etc. All this was reflected in the conversations that were carried out as well as in the event organization, with three sign language interpreters available to ensure that people with hearing disabilities are able to participate fully. While there have been interpreters in DrupalCons for the last couple of years, we’re now seeing more such initiatives here. We’re sad that Mountain Camp is only held once every two years but this makes sense considering the amount of effort that must go into putting together such a well thought out camp. We'll be waiting eagerly for next time! Here's the #DrupalMountainCamp group photo! Thanks everyone for attending and making this conference unique together! Sorry we missed a few because of starting too early.